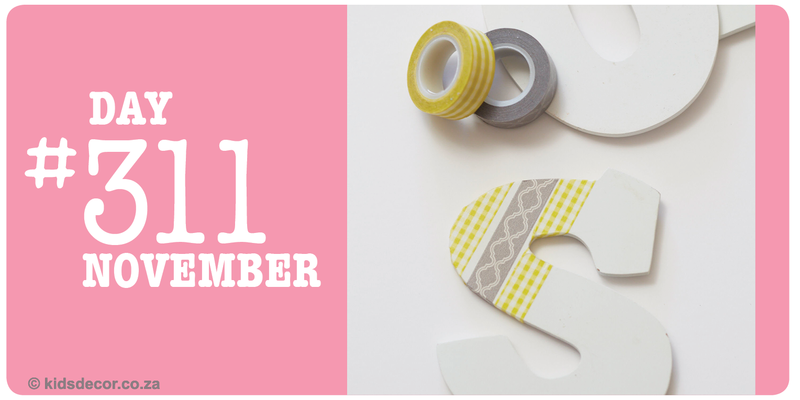 Spruce up a plain letter cut out with wash tape, changing the angle at which you apply the tape for more of a design effect. Use a cardboard base for the letter if you do not have a wooden one. Use these letters for names on doors, or initials on walls.